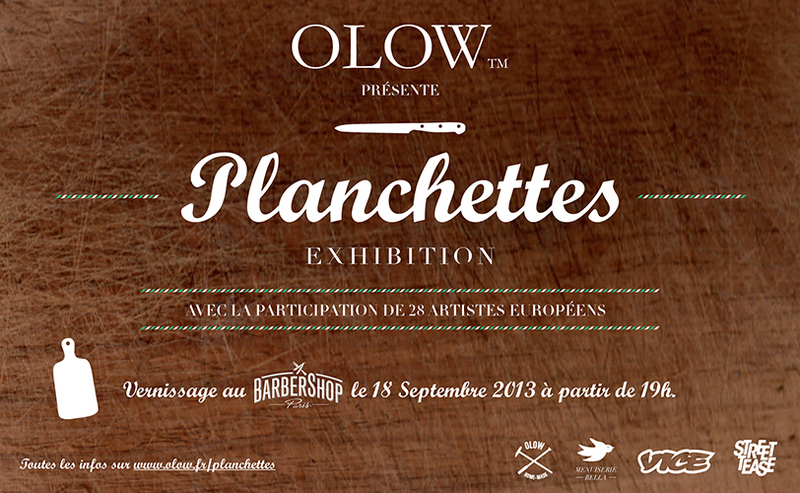 Our friends at OLOW are presenting tommorow their new exhibition “Planchettes“. This exhibition will run in the best spots in France and Europe for two years. It will bring together the unique works of 28 international artists on a somewhat special media: cutting boards for sausage. This event will run for two years in the best spots in France and Europe starting from tomorrow in Barbershop, Paris (68 avenue de la République).